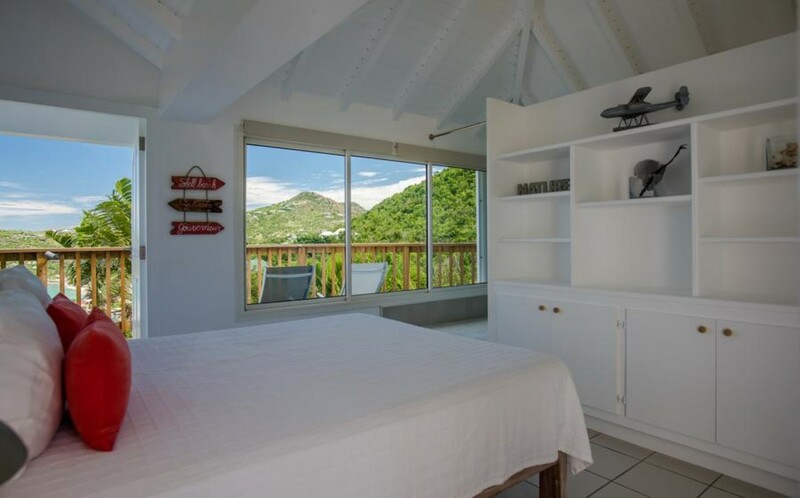 Welcome to Villa Idalia, a picturesque 3-bedroom villa in St Jean, in the beautiful island of St. Bart’s. 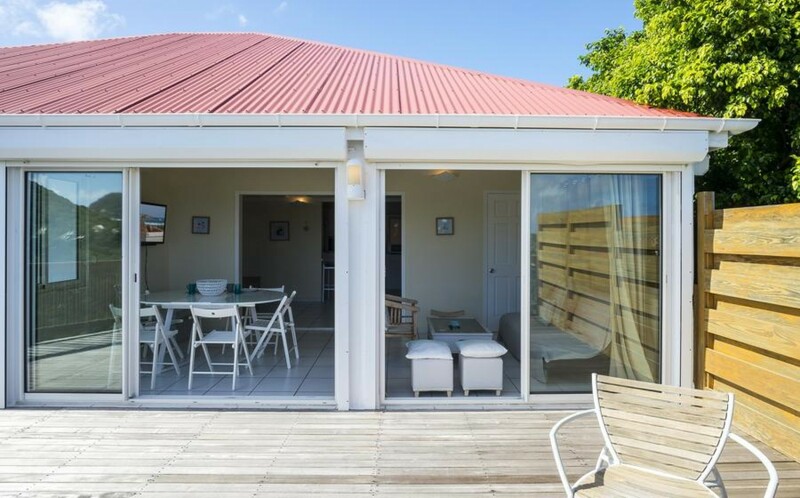 Dressed in a contemporary design, with white walls and proud red roof, this modern villa sits atop the center cliff of the island, which separates the bay of St Jean and the Lorient Cove. 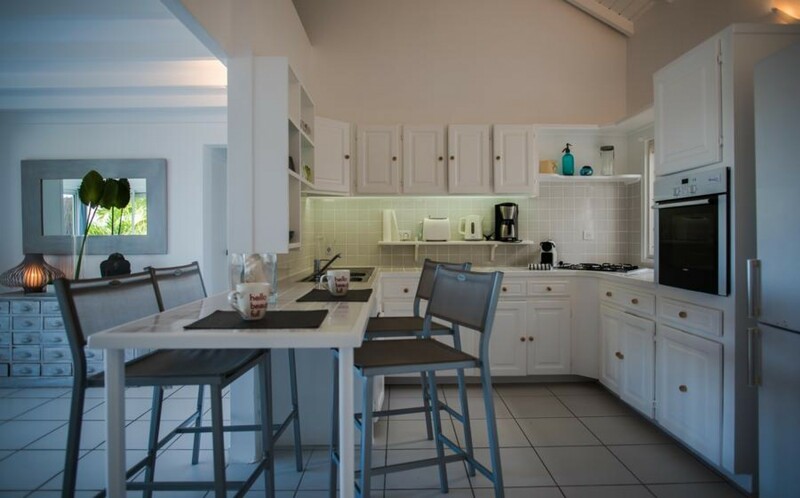 Its position offers guests the best view of both sides, overlooking Lorient to the east, and St Jean’s to the west, with ample viewing opportunities from both the lounge and bedroom terrace doors. 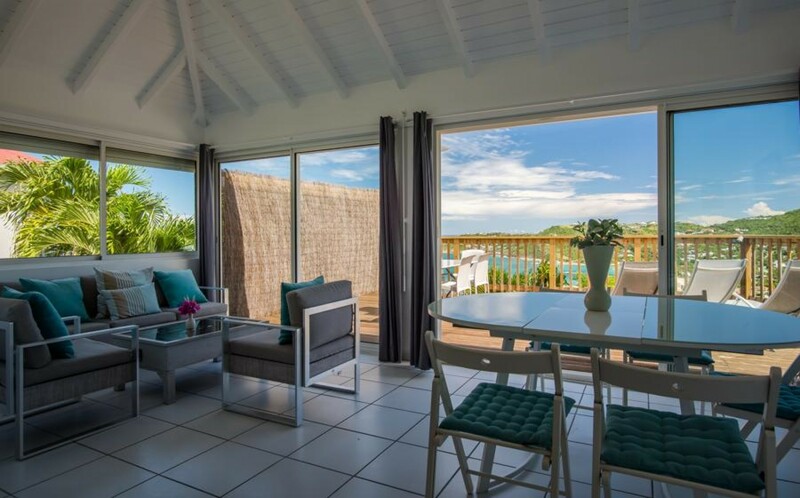 With a deck that stretches around most of the villa, almost every side of the villa offers spectacular viewing opportunities. 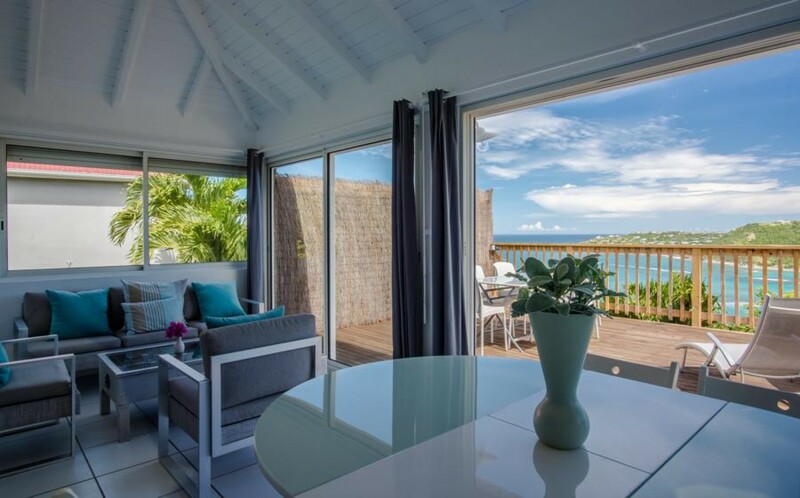 Inside, the interior is sleek and modern in design choice; an open-plan floor space that combines the kitchen, dining room and lounge into one area expands the villa, along with an elevated ceiling, and extends out onto the decking where the Caribbean is never far from view. 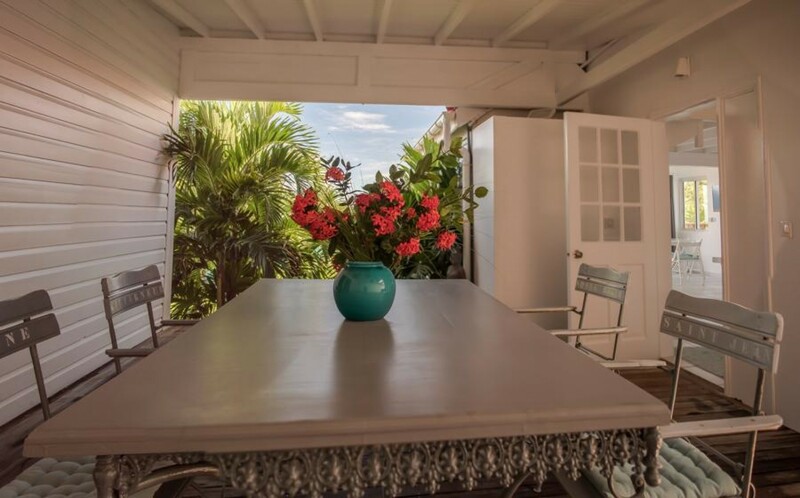 The furniture used is minimal and crisp, with splashes of color in the soft upholstery of the couches and chairs in the living area; the palette is inspired by the Caribbean, to draw and please the eye. 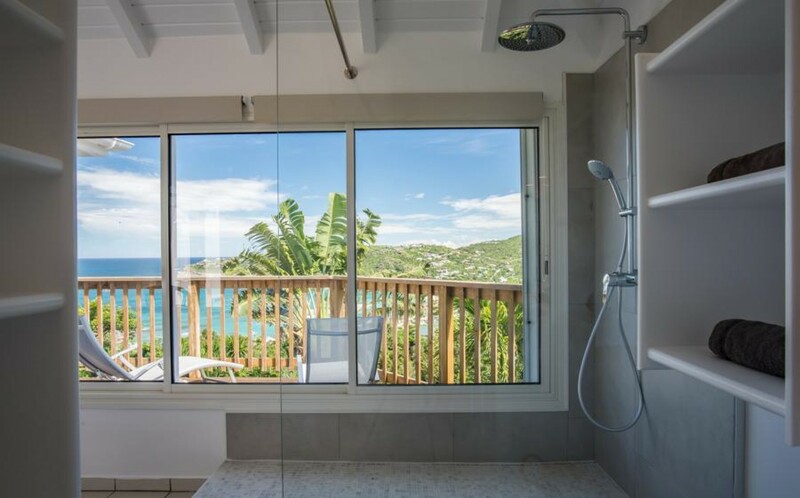 A tiled floor helps regulate the temperature of the balmy tropical climate, and the open-plan room space contributes to a pleasant airflow throughout the villa. 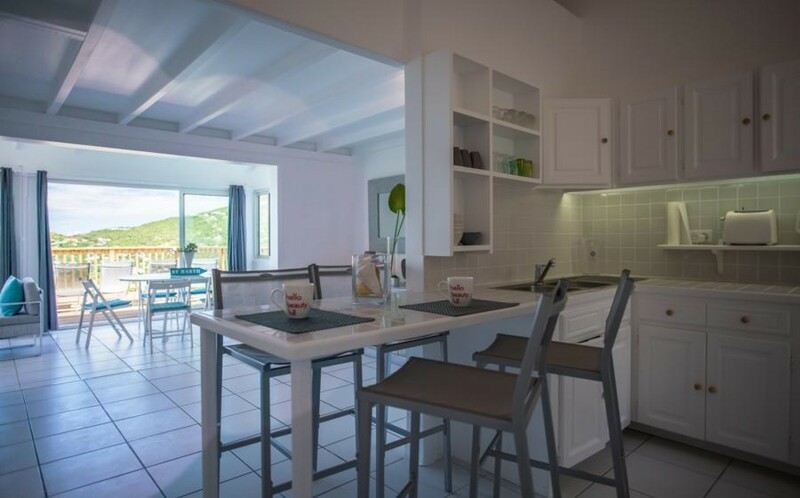 The glass-top dining table will host six, and the breakfast bar of the fully equipped kitchen seats four, resulting in the villa having abundant seating arrangements for mealtimes. 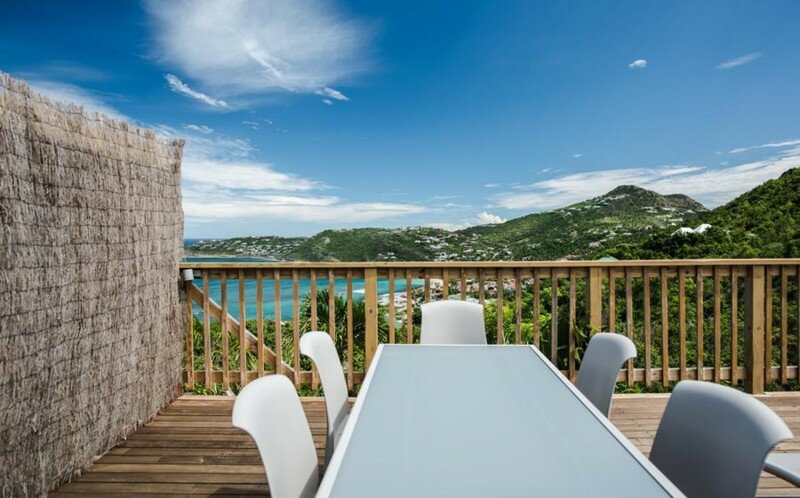 An outdoor terrace deck wouldn’t be complete without the option to dine in the sun, and Villa Idalia obliges; a dining table with seating for six allows guests to dine with the beautiful ocean vista in the background. 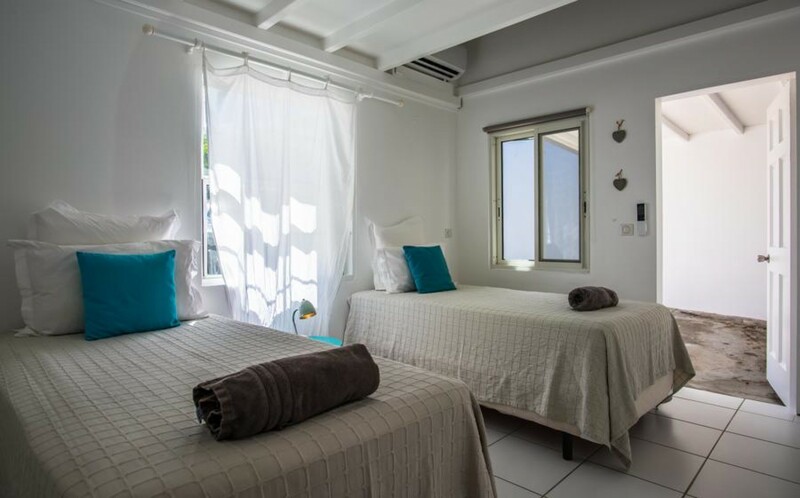 Carrying the inspired color palette throughout the villa, the bedrooms, through their arrangement, convey comfort and relaxation, while the minimalist modernity of the furniture ensures that an uncluttered room mirrors an uncluttered mind. The master bedroom contains a luxurious Queen size bed, the bedframe sleek and strong, but maintaining the beauty of natural wood in its design. 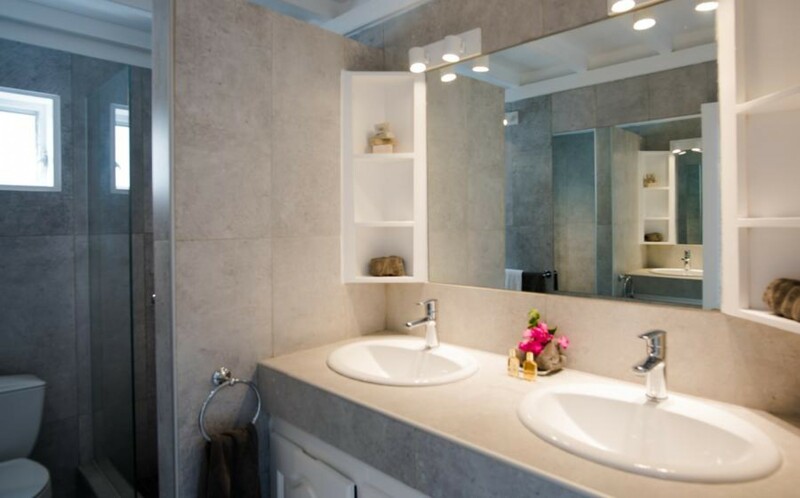 Equipped with and en-suite bathroom. 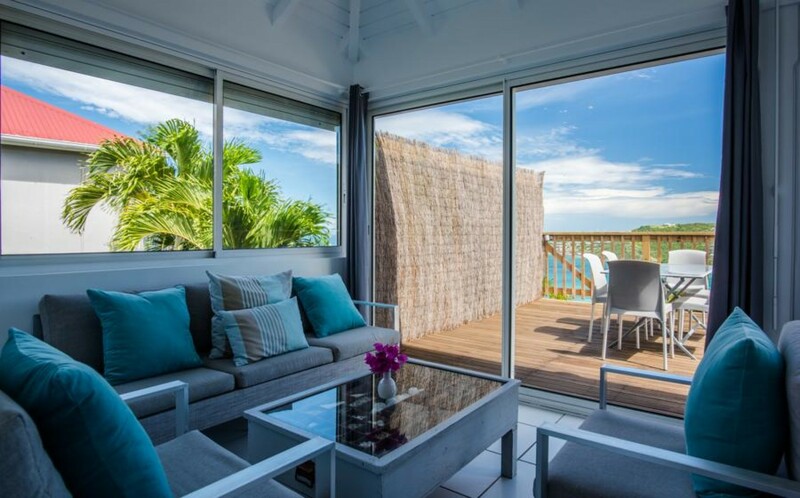 The terrace doors in the room allow guests direct access to the deck and outdoor seating, making it an ideal spot to enjoy the sights and sounds of St Bart’s tropical land and seascape. 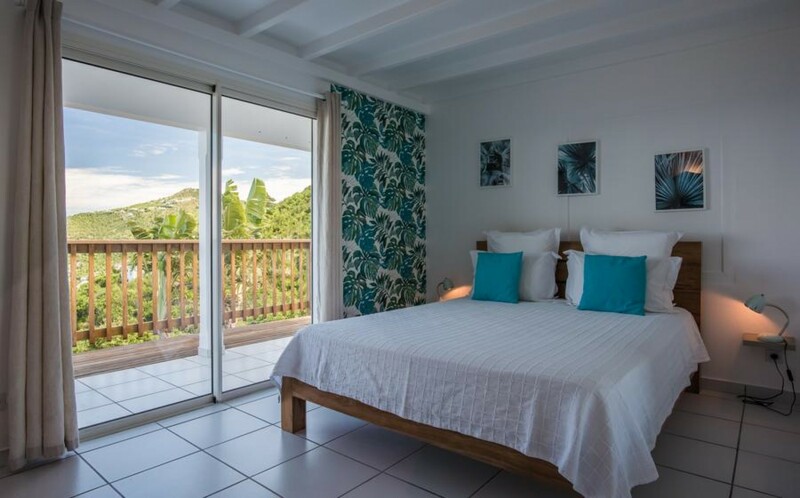 The second bedroom, equipped with comfortable twin beds, has a view of the verdant greens of the garden, and shares a bathroom with the third bedroom, equipped with a rainfall shower and a double sink vanity. The third bedroom also hosts a luxury Queen size bed; a large mirror is installed above the head of the bed, giving the room more depth. 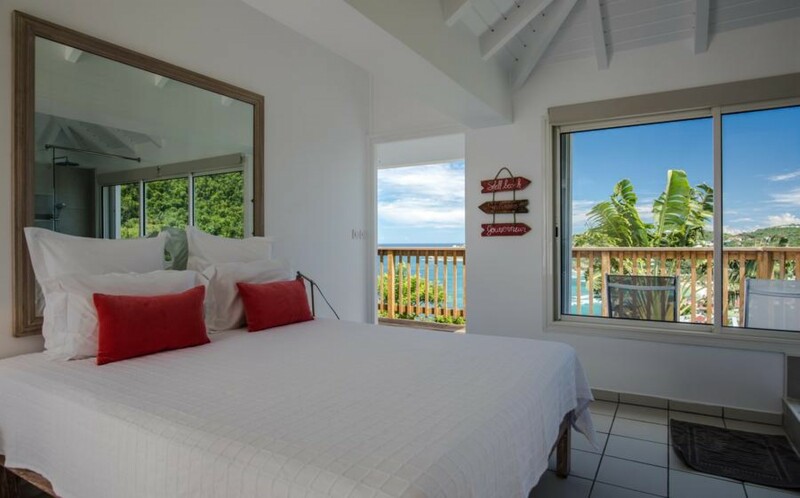 Guests have access to the deck, as well as a tall window to admire the scenery from the comfort of the bed. 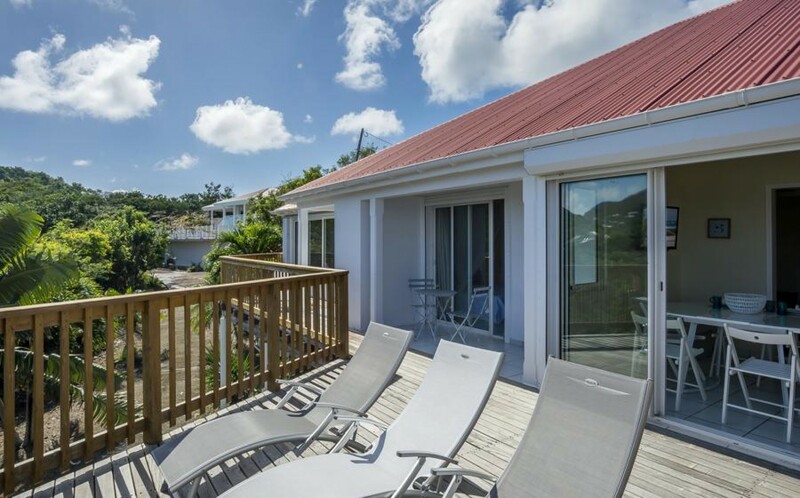 Villa Idalia sits at the center of the island, which separates the bay of St Jean and the Lorient. 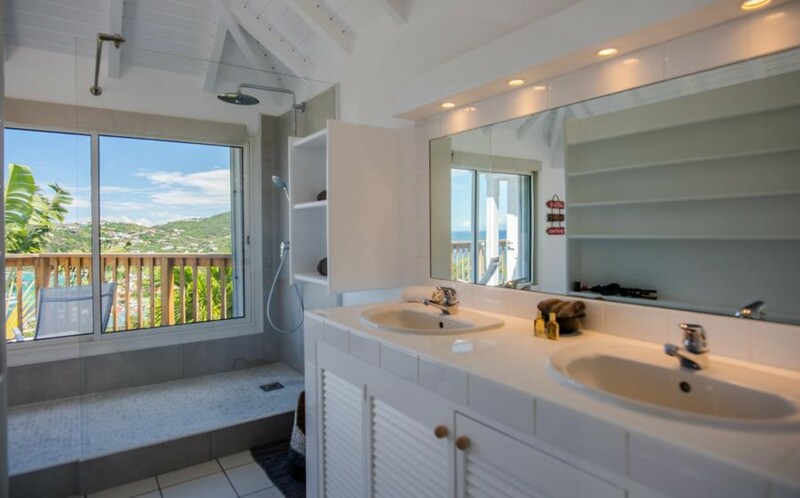 As a result, there’s no shortage of beaches to choose from, and the closest, Nikki Beach, is just a short walk away (900m). 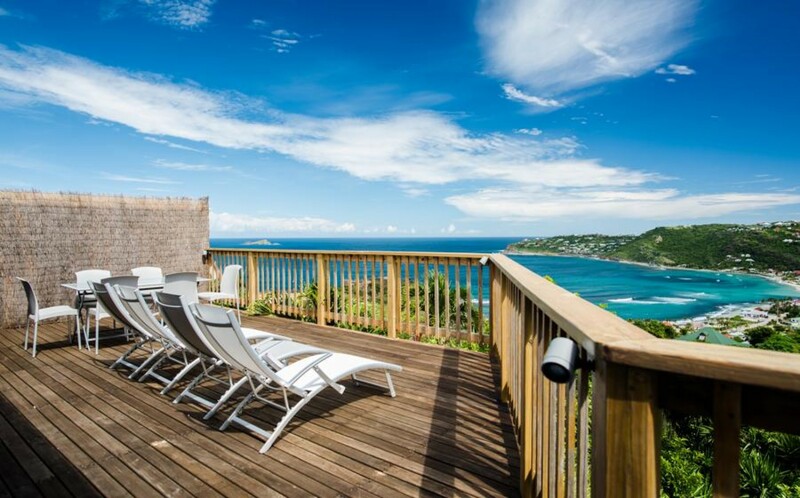 Gustavia, the capital of the island, lies 10 minutes to the west (4.3km), with some of the finest choice of boutiques, restaurants, night clubs and bars that any of the islands of the Caribbean have to offer visitors, but the nearest shop and restaurant are within a kilometer of the villa itself, so guests don’t have to travel far to find what they need. The size of the island is quite small, so this makes it easy to explore it in a matter of a few days. 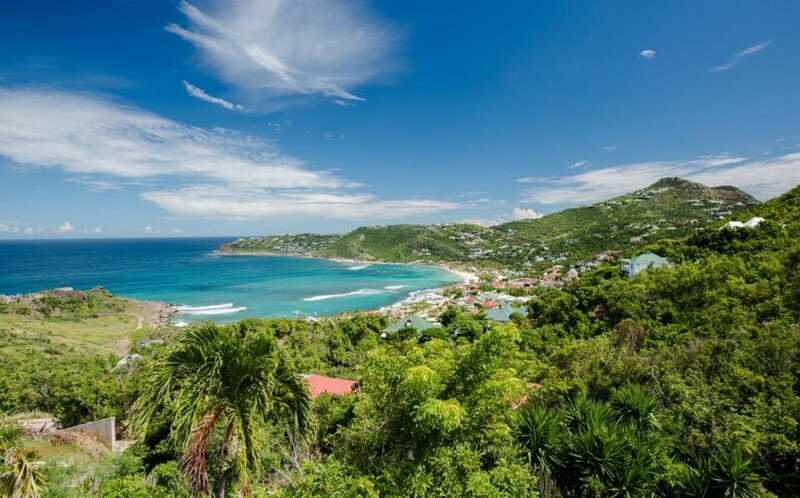 For watersports and all related activities, you can head over to Grand Cul-De-Sac (3.9), one of the best spots on the island for surfing, standup paddle-boarding, windsurfing, kayaking and much more. 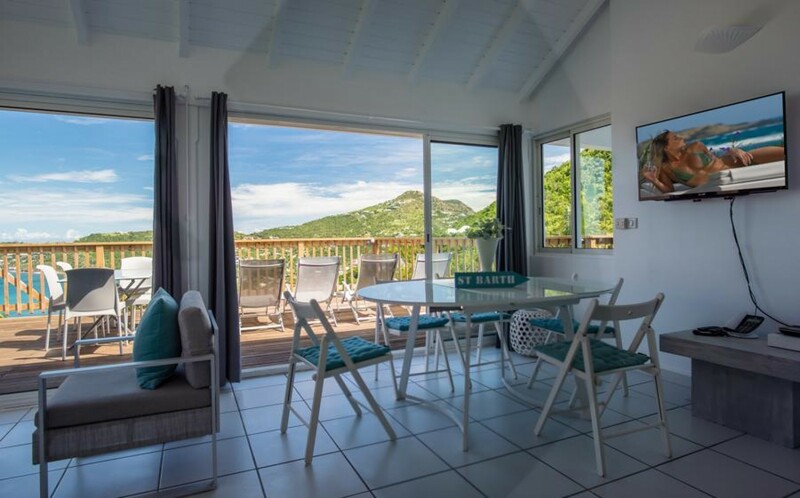 If guests find an interest in the history of the island, a good place to start would be Gustavia itself, where the influences of past ruling countries still remain today, including Fort Karl, left by the Swedish, to protect the island in the 1700’s.